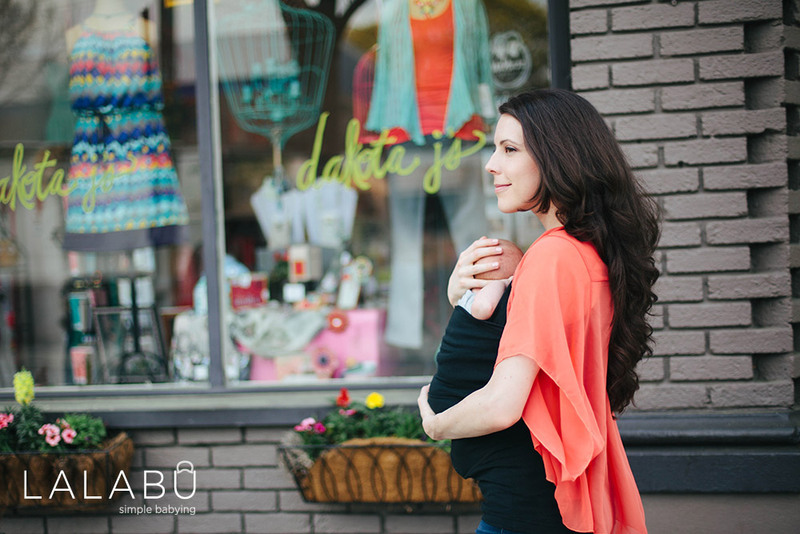 Lalabu: It's a hip new baby carrier brand inspired by the African style of holding and transporting babies on the mother's back. Lalabu is also a person. She is the woman in Burkina Faso that American couple Brian and Keri Fosse met on a mission trip. Lalabu had newborn baby twins and taught the Fosse's how she manages to do all of her daily tasks while carrying the babies safely and comfortably on her back. When the Fosse's returned home to Atlanta, they had a baby of their own -- Levi -- and decided to share the baby-carrying experience with their friend Lalabu in Burkina Faso. That's when Lalabu, the product, was born. But that's not all. Lalabu is also a way of doing business. The Fosse's goal is for Lalabu to "be a company that brings hope to our local community and to women around the world." We all know the popular one-for-one model, but Lalabu is taking that a step further. They have a "One Day One Dollar" model. "Instead of working on Lalabu every day, we work one day a week for projects and organizations in Atlanta that are helping women. We also give $1 for every carrier sold back to women in Africa -- where $1 makes a big difference and to honor the roots of our company," explained Brian. In addition to all this do-gooding, Lalabu products are proud to be made right here in America. Where did the Fosse's come up with all of these brilliant ideas to make baby-carrying and business better? They met at the magical world of Disney after both graduating from Georgia Tech. "Disney instilled within me a sense that dreams can come true and they are worth pursuing," Brian said. While a Lalabu is actually priceless, you can get one for $40 right now by donating to their Indiegogo campaign. Erin Levin is sponsored by Creative Visions Foundation, a publicly supported 501 (c)(3), which supports Creative activists who use the power of media and the arts to affect positive change in the world. She is currently producing Imba Means Sing, an independent documentary feature film about the African Children's Choir.